This is normally done automatically via the scheduled synchronisation job. 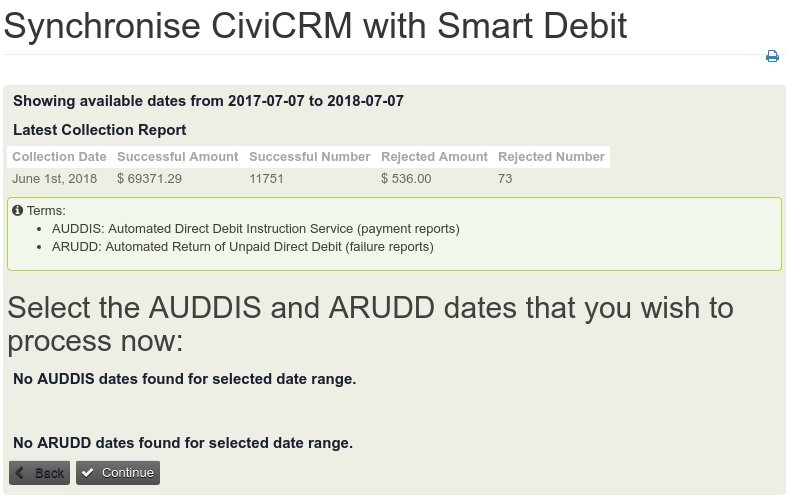 Manual sync would normally be used for troubleshooting or initial setup of Smartdebit with CiviCRM. Manual sync can be used to synchronise any collection reports that are downloaded, synchronised, or it can download the latest daily reports. This is very useful if reinstalling or syncing with Smartdebit for the first time. If you disable the automatic sync it is a good idea to setup a daily scheduled job to retrieve the collection reports so they are available when you are ready to perform a manual sync. Use the Smartdebit.retrievecollectionreports API to do this with parameter "daily=1". 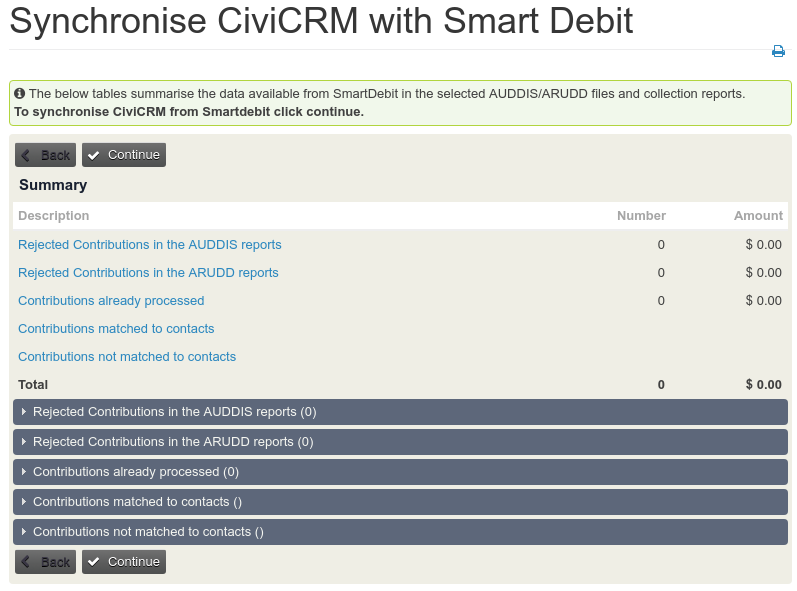 You can perform a manual sync by selecting Manual Sync from the Administer->CiviContribute->Smart Debit menu.